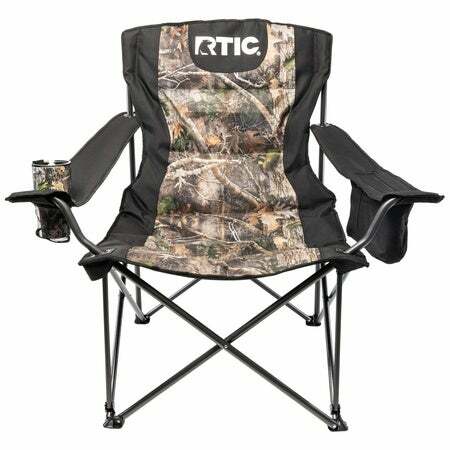 The RTIC Big Bear Chair is a perfect companion for tailgating at a ball game, relaxing at the beach, or spending a quiet night around a campfire. 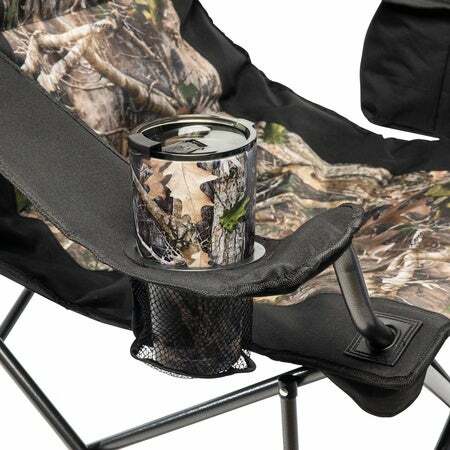 The wide set stainless steel frame sets the RTIC Big Bear Chair apart from the crowd. 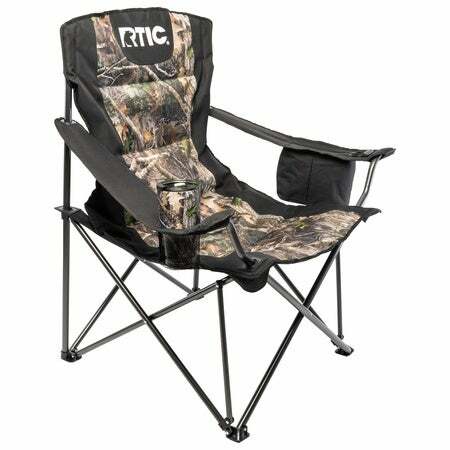 In addition to the standard features, the RTIC Big Bear Chair offers padding built into the seat for added comfort as well as exterior mesh pockets along the back of the chair and the built-in cooler for convenience. 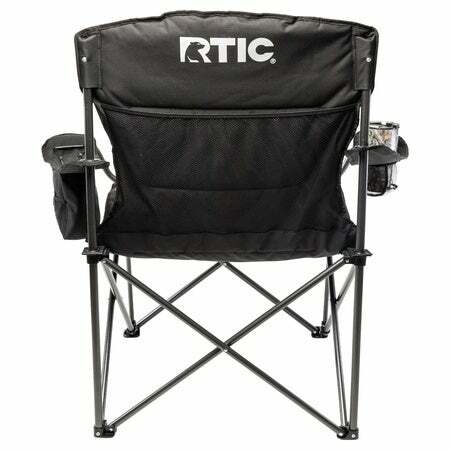 Dimensions: Seat: 23" deep by 28" wide. 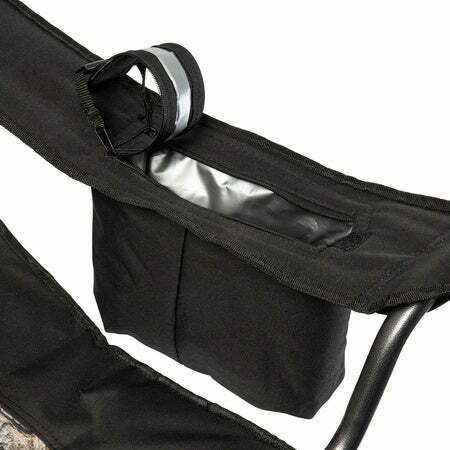 Back: 26" high.